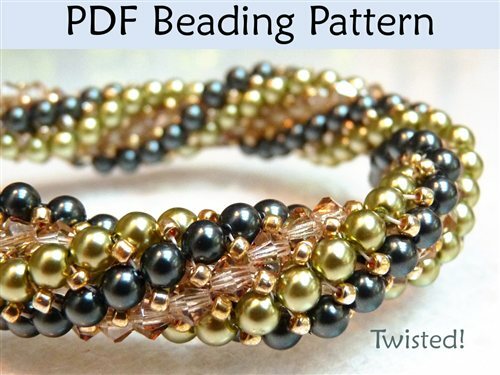 “Twisted” PDF Beading Pattern This fun beading pattern will easily teach you how to make a beautiful “Twisted!” herringbone necklace or bracelet! As I was adding the final embellishments to this Sinusoidal Necklace design by Melissa Grakowsky (won’t it just make a Fall wardrobe pop! 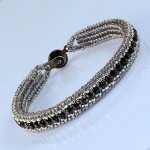 ), I was thinking that I’d like to take Melissa’s sine-wave shaping and use it in a more casual necklace. And then I was reading Jean Yates’ blog, and saw that Melissa has already done that for me! 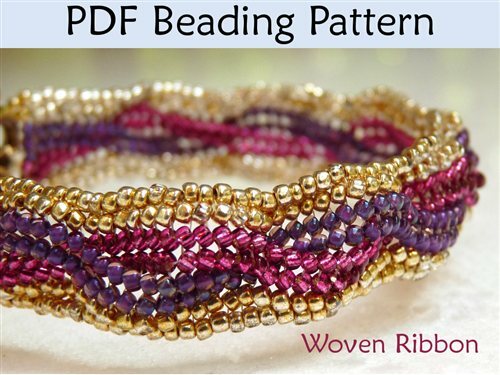 Another bead weaving stitch I enjoy using is herringbone. This is a short demonstration of that stitch using 1mm round crow beads. Cylinder beads work very well for this stitch too. In this Beadaholique video, Andrea shows us how to bead weave a triangle using peyote and herringbone stitches.